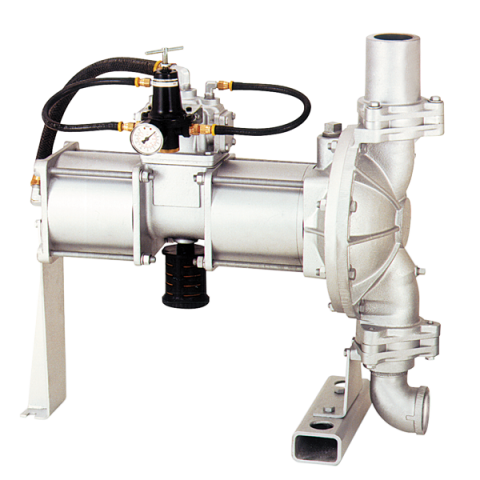 Air Operated Single Diaphragm High Pressure Metallic Pumps deliver discharge pressure twice the inlet pressure, up to 250 PSI (17.2 BAR). Designed for filter press feed and applications requiring higher discharge pressures. Available in Aluminum, Cast Iron and Stainless Steel with various elastomer options. Click here for EH2 Metallic Pump Data Sheet.